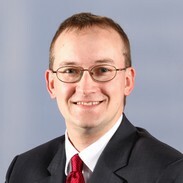 Greg joined the firm's Edwardsville office in 2010 after graduating from the Washington University School of Law. During law school, he clerked for Magistrate Judge Donald G. Wilkerson in the U.S. District Court's Southern District of Illinois, in the Madison County State's Attorney's Office, and in the General Crimes Division of the U.S. Attorney's Office for the Southern District of Illinois. He was a member of the Washington University Law Review and his law review note, entitled "All in Your Head: A Comprehensive Approach to Somatoform Disorders in Adult Disability Claims," was published by the Washington University Law Review in 2010. Greg's practice is focused on general tort litigation, with an emphasis on toxic torts and the defense of asbestos matters. Greg assists in the preparation of the defense of numerous asbestos personal injury suits, which includes the drafting of motions and supporting briefs. He also practices in the area of creditors' rights in the context of lien adjudication. Greg’s work in construction litigation includes the review of critical documents, as well as assistance in the identification and preparation of insured witnesses for deposition and in establishing deposition strategies and coverage. He attends depositions and provides legal and fact based research for development of the overall case strategy.